things of wood. | owl's house london. 3. These lamps by Swedish company Note Design Studio are ceramic and wood, and very, very Scandinavian in their warmth and tactility. 4. Beautiful, decorative handcrafted pendants that can be hung individually or in a cluster, there are six variants, with names like Aztec and Abacus. Customisable in length and configuration, they could be simply hung from a hook. Bohemian, but in a good way. Bright Beads by Marz Designs, via Contemporist. This entry was posted in fab four. and tagged Bentwood, ceramic, design, Elbow chair, minimal, pendant lamp, Scandinavian design, this is paper, Wishbone chair, wood on March 4, 2013 by owls house london..
they are sweet, aren’t they? i think they would look good in so many interiors in a group or individually.. lovely to have your comment. Oh that pendant! It’s gorgeous. I choose #4 as well. I would be very happy looking at that everyday. fabulous! glad you like 🙂 lovely to hear from you. White with light toned wood is such a perfect combination! 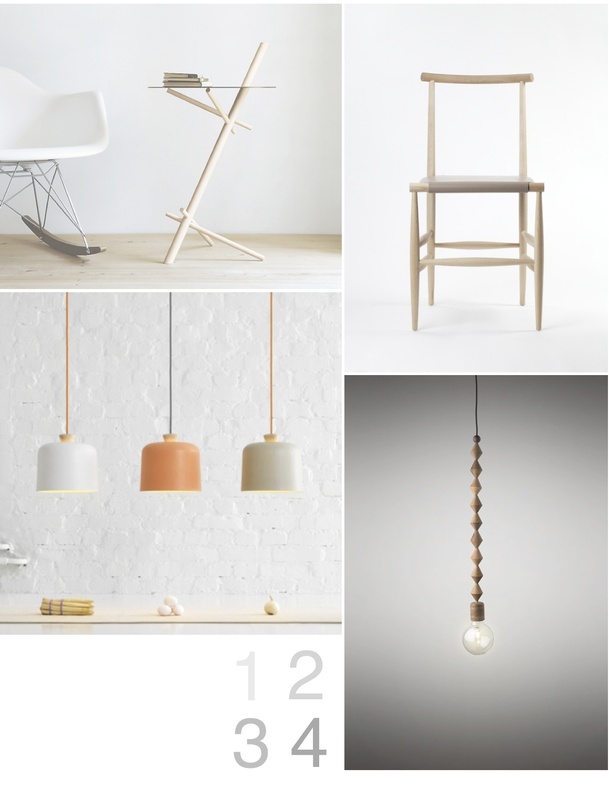 I like the no 3 the most, especially the white lamp with orange chord! Pingback: fab four: glass things. | owl's house. Pingback: fab four: side tables. | owl's house london.